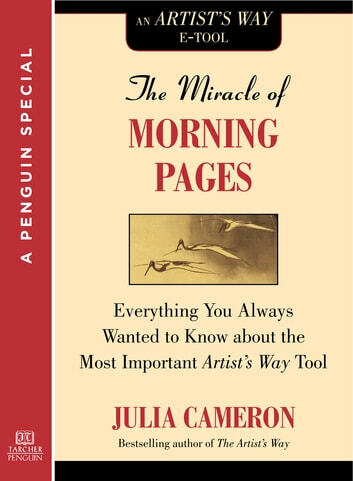 In this invaluable companion to Julia Cameron’s seminal work on the creative process, The Artist’s Way, she provides answers to the most frequently asked questions about her most powerful tool for unblocking creative stores: Morning Pages. According to Cameron, keeping a Morning Pages Journal is essential to cultivating creativity and personal growth. These pages of longhand, stream-of-consciousness writing will provoke, clarify, comfort, cajole, prioritize, and synchronize the day at hand. 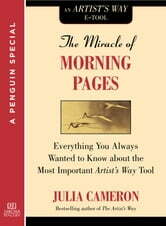 The Miracle of the Morning Pages Journal clarifies and expands upon the ins and outs of the art of keeping a Morning Pages Journal. Mooie duidelijke uitleg wat de Morning Pages inhoud en hoe je het moet toepassen. Het werkt echt, maar je moet wel doorzetten.